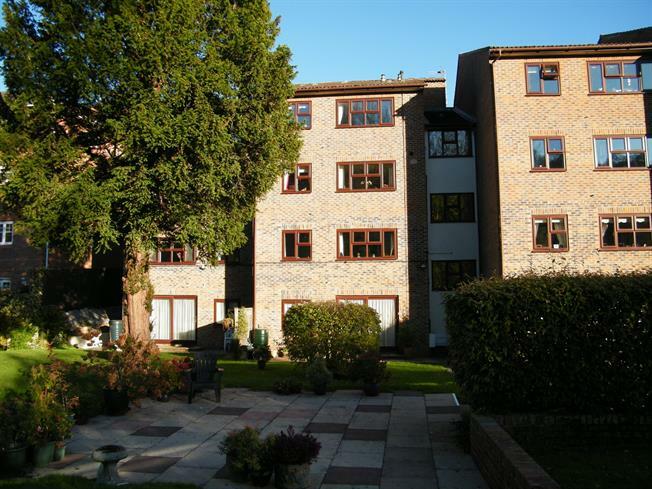 1 Bedroom Flat For Sale in Caterham for Asking Price £130,000. This ground floor flat is situated to the rear of this popular development on the entrance level and in close proximity to Caterham Valley and shops. The property has been recently updated by the current owner and there is a refitted kitchen and shower room as well as a double bedroom with built in wardrobe. The rear aspect lounge overlooks the communal the gardens. Knowle Lodge offers resident's facilities including a lounge, conservatory, laundry, gardens and a house manager. Two built in cupboards, doors to living room, bedroom and shower room. Rear aspect room overlooking the gardens, recently redecorated. Boiler for central heating. Refitted by the current owner with a modern range of units and space for appliances. A redecorated, rear aspect double bedroom overlooking the gardens. Built in wardrobes. Refitted with a modern, three piece suite comprising shower cubicle, low level WC and wash hand basin. There are a number of facilities within the block for the residents including a lounge with conservatory, a laundry and a house manager to over sea the day to day running of the block.